HTC may be about to receive help from the Taiwanese government as it looks to turn its fortunes around after slipping away in the smartphone market recently. According to the Commercial Times, Taiwan's Central Bank Governor, Perng Fai-nan raised the issue during a meeting with government officials, suggesting it stepped in and offered assistance to the manufacturer. 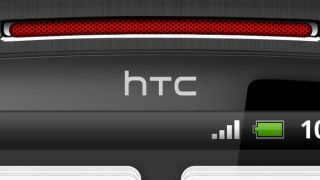 Perng noted that HTC's declining sales had had a knock-on effect with Taiwan's exports, which have also witnessed a decline in recent months. "Vital importance to the islands' GDP"
During the meeting, Perng apparently went on to say that the financial status of HTC is "of vital importance to the islands' gross domestic product". The Taiwanese government is taking this issue seriously, with an unnamed official reportedly saying the Ministry of Economic Affairs is already considering various ways to help out HTC. HTC's slump is disappointing to see, as it has produced some quality Android handsets, such as the Desire, One S and One X, and we hope its government can set it back on the straight and narrow soon.